Home / Tribune / Call for players able to change the media world in Europe: Horizon 2019, less than two years to promote a political debate with European accents ! When I was 23, in 1988, I spent a year in Cairo, Egypt. At the time, the Europeans were laughing at the Egyptian information system focused on declarations, encounters and shaken hands of the state’s supreme leader, Hosni Mubarak. Instead of reporting on the political debate which underlies a democratic system in search for solutions to the crises actually affecting it, we hear only the leaders of our nation-states and their structural incompatibilities. Nothing else than diplomacy as a political life. In 2017, after 70 years of European construction which has never ceased to claim the superiority of its inalienable democratic values, we must face the truth: our political model is at the level of the third world countries in the 80’s, except for the lucidity. European civil society is full of debates, ideas, courageous initiatives … all more or less doomed to failure because of lack of common visibility. In 2019, the European citizens will be asked to vote in an Nth election of the European Parliament. We have not heard any debate on any common issues associated with those past elections. The 2019 edition, on the other hand, may well leave us the burning souvenir of being the one delivering the European Parliament to the far-right coalition forces. Certainly, a lot of people will feel like withdrawing their confidence from those citizens who will have allowed that sad result. Yet it will not be our fault, but rather the institutional-political-media-economic system will not or would not allow the emergence of a political life at the relevant level of power: the European level. And in 2019, by default, the identitarian far right-wing can dominate the Parliament’s agenda simply because it is the only political movement which has managed to get organised at European level AND which has received from the national media the visibility required to reach the greatest number1. Meanwhile, the nice efforts of the progressive, humanist and democratic forces of the European civil society will have died; at best, they will have made the buzz in micro-Internet communities. Franck Biancheri’s heirs as we are today, we solemnly call those players willing to produce change within bodies of the national and European media; they will get mobilised and make heard as much as possible the debate which animates the European civil society; they will promote politicians like Varoufakis, Guerot, Magnet, Larrouturou, Taylor, Frassoni, Clarotti … and all those whom we would like you to discover, who fight courageously to unite around their ideas all the European teams and movements which we all need in order to remember positively the 2019 European election (as the first ever public debate on our common future and as the first time we have been asked to give our opinion on the main orientations of this ship called Europe). Videos, articles, interviews, political debates, citizen questions,… please show us those truly European politicians who defend a true European vision, and not a diluted Europe in their national agendas, because it is imperiously necessary. 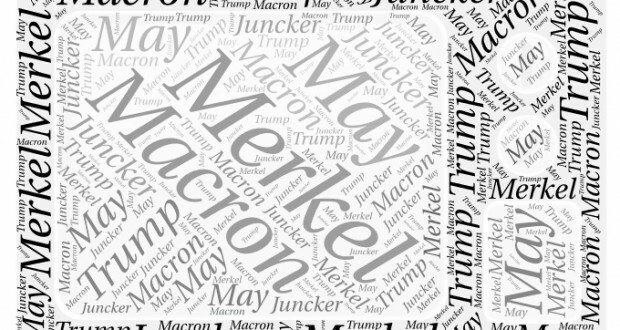 Start embodying the European information which has invaded your pages with topics like the euro crises, Ukraine, Syria, tax evasion, CETA / TTIP, migrants, defence, Schengen and so on. Ask those major solution providers what their opinions are. In the current situation of the European crisis, all ideas are good to take. And trust us to judge the best of them in 2019. You have now a historic responsibility to take. 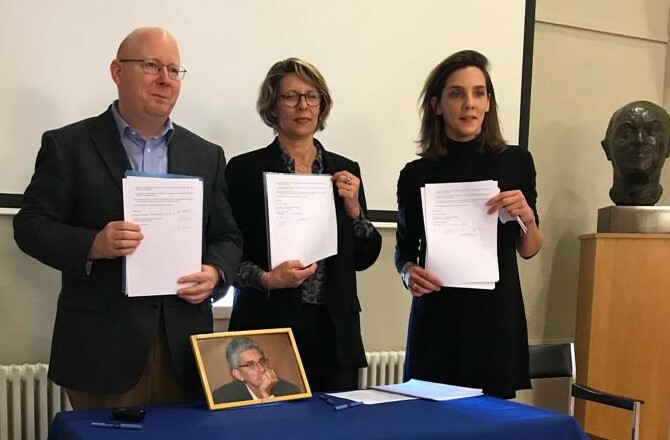 The Franck Biancheri’s Friends Association has launched in July 2017 in Louvain la Neuve the Process entitled #CitizenRoute73, a citizens’ contribution to the emergence of a complete political offer by the 2019 European elections. Within this framework, we are trying to launch a multilingual YouTube channel aimed at staging those “promoters for European agendas”. But it takes more than one project to make a difference. Everybody must get involved: big national media, small European media, citizen blogs … multiplied by their own synergetic forces. 1 This humorous ticket probably originated in the legitimate anger currently gripping us due the unhealthy interest the media attaches to a populist campaign against the NGOs acting in the Mediterranean recently, a campaign launched by a former collaborator of Franck Biancheri’s. 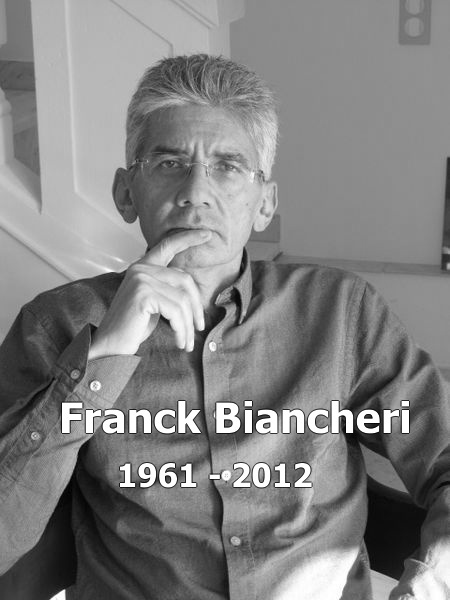 The media has been deaf until now to almost all visionary, progressive and humanist projects that Franck Biancheri continually initiated for 30 years until his death in 2012, projects aiming to build a democratic Europe. His legitimate heirs continue to initiate such projects, by the way (notably this project #CitizenRoute73). Previous: [Open call] Official launch of the Franck Biancheri Award 2018 for AEGEE antennas: win 2,000 euros!